This entry was posted on Sunday, September 27th, 2009 at 6:27 pm	and is filed under Blog. You can follow any responses to this entry through the RSS 2.0 feed. Both comments and pings are currently closed. 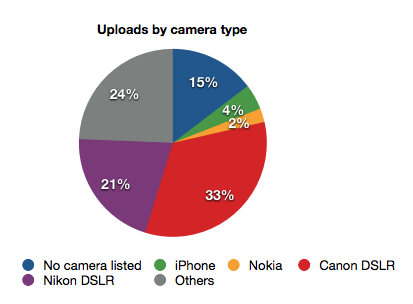 So interesting Paul – I too thought the majority of fast uploads would come from a mobile device like an iPhone. 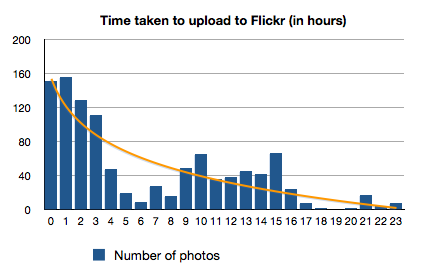 perhaps flickr people are more photographic. 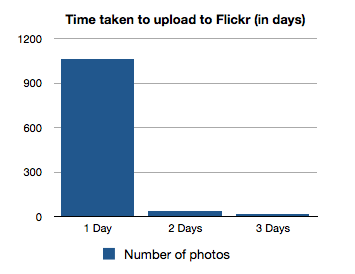 interesting to compare source of images with those uploaded to social media sites – if this is possible. I’d love to see the geocoded subset timemapped together with stormtrack data.